Today I finished my second hardware SID player. This is kind of a sneak peek: I'm planning on writing up the entire process, from conception, through to breadboarding, circuit design, layout, assembly, and case. This device contains a 6502 processor, the same one (almost!) as was used in the Commodore 64. It also contains the Commodore 64's well-known MOS 6581 chip, also known as the Sound Interface Device, which gave the C64 its distinctive sound. 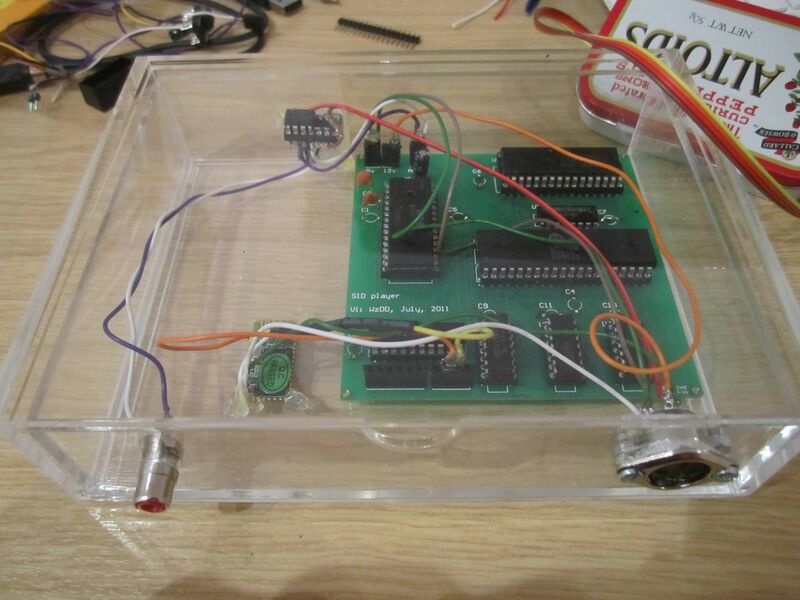 It plays real Commodore 64 sound files (SID files), which it receives via a Bluetooth serial connection. SID files are interesting because they are actually raw binary 6502 code. In order to play the sound file you need a 6502 processor. All software SID players emulate a 6502 -- this includes a real one instead.